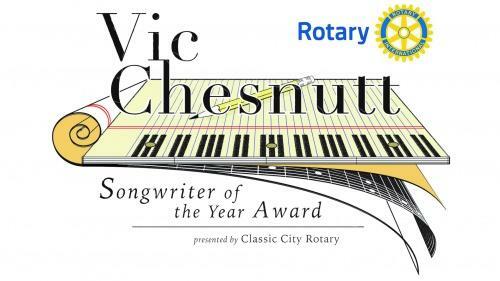 The 2019 Vic Chestnutt Songwriter of the Year Award contests kicks off this evening. Organizers are holding an event at Hendershots aimed at raising awareness about the award and nomination process. Cortez Garza is a committee member. He says it’s open to all types and genres of music. Nominations ae being accepted until March 15th. The Rotary Club of Classic City is presenting the contest, which is named in honor of the highly-regarded late Athens Singer-Songwriter. Garza has been a part of the event since its inception three years ago. In addition to Garza evening’s line up of performers include Bain Mattox, Adam Payne and Scott Low. Doors open at 7 pm and the show begins at 8. Lengua Franca, Commissioner Mariah Parker won the award last year. WUGA is a contest sponsor. The award will be presented Thursday, May 16th . Cortez Garza on 2019 Vic Chestnutt Songwriter of the Year Award. The Third Annual Vic Chesnutt Songwriter of the Year Award Contest is underway and organizers are currently seeking nominations. Community members are encouraged to nominate area songwriters for the highly-regarded award, named in honor of the late renowned Athens singer-songwriter. Committee chair Cortez Garza says nominations from all genres are wanted. Recently WUGA's Program Director and Morning Edition Co-Host, Chris Shupe, was asked to participate in a new event focused on recognizing some of the best song writers in Athens. In this piece, Chris takes us along for the process, that ended with an amazing night of music that not only honored the participants but also legendary song writer the late Vic Chesnutt.